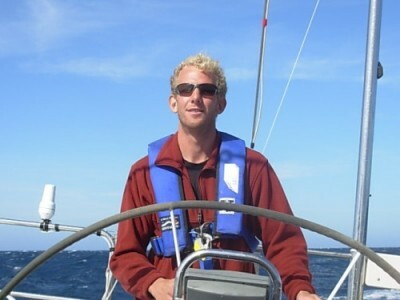 As Program Manager for CBF, Ben deals with the day-to-day operations of the Clean Boatyard Program and the Clean Products marketing campaign. Ben’s boating background is wide and varied. He has been a biologist and crew on Alaskan fishing boats. He worked for several years as a marine technician, outfitting yachts and sailboats with electronics and mechanical gear. He has cruised up and down the West Coast and all around the Pacific. And he is a Thistle sailor. Beyond boating, Ben enjoys thinking about water engineering and allocation issues. He also enjoys climbing and hiking in the Cascades and Olympics.